Q poll……Crist +4 in Florida…..
Qunnipiac Poll: Crist v. Rubio 37-33, Meek at 17. GO CRIST!!! my heart is with meeks but brain with crist. RUBIO GOING DOWN BABY! Meek is only up 2 according to Q-Pac in his OWN Primary according to Q-Pac. Check the new Post when it’s coming up. He could get embarrassed like Arthur Davis in Alabama. Terry, Meek is an EMBARRASSMENT and should never hold public office in Florida ever again. You got my FL Primaries Post? Meek and McCollum FADING FAST. 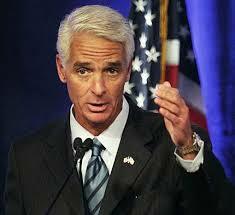 The Q-Pac Poll showing Crist up 37-33-17 was already posted in my Polling Summary yesterday. What’s you feelings on the Crist/Rubio race? Check my Comment in the Florida Primary Post. I think a Greene think will make it easier for Crist as Greene will trade heavy barbs with Rubio with his TON OF MONEY.